You could say that Amanda’s musical path started with her first lessons at the piano as a child, but in truth is was before that. From the very beginning she has been a singer and a lover of all things musical. Her natural leaning towards music is likely thanks to her family lineage, which includes violin makers, music teachers, composers and performers going back many generations. This innate love for music lead Amanda to pursue her piano training with gusto from a young age, become an avid listener to artists of many genres, to put together various recreational musical groups of her own over the years, and eventually to turn to songwriting and set out on the budding career she is enjoying today. In the mid-2000’s, when she first felt ready to present some of her own material in a public forum, she moved from the piano to the guitar and began attending open stages in and around her hometown of Ottawa. Eventually the day came when she had built up both her repertoire and the confidence to share her music with a broader audience, at which point she set her sights on recording her debut CD (Juniper Weekends, 2011). Having found a talented and symbiotic group to work with, (Danny Artuso – guitars, pedal steel, vocals / Ken Kawisher – upright bass, accordion / Gilles Leclerc – mandolin, vocals), Amanda began regularly playing shows around the region and she and her band quickly started gaining attention from local media and music listeners. Only two short years later, the same group went back into the studio to record their second CD (Down The Road, 2013), and they adopted their current band name, Amanda Bon & The Outskirts. The band’s sound is largely rooted in Amanda’s songwriting, which blends elements of folk and country. Although her musical tastes are broad, she has an affinity for the melodies and lyrics of the more rootsy artists, Emmylou Harris, Alison Krauss and Gillian Welch, to name a few. Add to this the instrumentation of the band and the rich harmonies they weave into their songs, and you find the dash of bluegrass often attributed to this group. Amanda is proud to have appeared at Ottawa Bluesfest 2012 and Junofest 2012, headlined The National Arts Centre’s Fourth Stage and Wakefield’s renowned Black Sheep Inn among others, and to have shared the stage with the lovely Jenn Grant at the NAC’s concert series NAC Presents. She remains the hard-working leader of her band, acting as the manager, booking agent, publicist, promoter, songwriter and front-woman all in one, and looks forward to continuing to broaden her experience. It should be said though, that Amanda’s pursuits are not only musical. She is also a performing member of Tara Luz Danse, one of Ottawa’s professional contemporary dance companies, and an independent pilates instructor, specializing in the rehabilitative aspects of the work. Andy began this musical life in high school as a casual folk guitarist and singer. Through most of his 20’s Andy made his living as an artisan goldsmith, performing folk music in restaurants and clubs on some weekends. Andy then studied music education at Queen’s University and began teaching high school choral, band and guitar music in 1986. Andy used this teaching experience as he started leading impromptu choral groups at folk festivals and at weekend workshops. Andy has just retired from his high school career, but continues as the founder and artistic director of the 110 voice Open Voices Community Choir of Kingston, and as an instructor and practice teaching supervisor at the Faculty of Education, Queen’s University. Andy is famous for creating ‘instant’ choirs, picking great repertoire and arranging on the fly to meet the needs and interests of his singers. Equal parts musical musings, and fashionable theatrics, Captain Dirt & The Skirt are reinventing what it means to be a duo. United by their mutual love of musical adventure with a mysterious twist, their debut album The Adventures of Captain Dirt & the Skirt draws on bluegrass, hymnal, gypsy-jazz, classical and pop with the undeniable grit of rock layered throughout. Coming from their own independently successful music careers, Kristin Sweetland and Lyndell Montgomery are seasoned road-warriors, having toured extensively nationally and internationally for more than a decade. Now they have joined forces with all their experience to create unique and original music together. British Columbia born and raised Lyndell Montgomery, aka: Captain Dirt, is a multi-instrumentalist touring machine. She has composed, arranged, recorded, booked, publicized and tour managed with countless artists around the globe. Her musical experiences have taken her from India to Australia, Europe to North America and beyond. Lyndell is currently the producer of Beau’s Oktoberfest, an annual three-day music/culture/beer festival situated in Vankleek Hill, Ontario. She is also co-author of the widely acclaimed book Boys Like Her; Transfictions. Aside from composition, live performance, management and production, Lyndell works with the Alberta’s based Rocker Girl Camp and the Ottawa Blues Festival as a music educator. If you don’t know Chris White, then you just moved to Canada…or have just discovered folk music! Chris has been a moving force in the local, regional and national folk music scene for over 25 years. Currently the Community Liaison and Volunteer Support person at CKCU FM 93.1, Chris was artistic director of the Ottawa Folk Festival from 1993 until October 2009. Concession 23 [kuhn-sesh-uhn] – noun. 1 to concede; agree; work together + 23 (the number of strings from a guitar, banjo, bass and mandolin). 2 a bluegrass band from the Ottawa Valley. The band’s musical strength lies in its teamwork, its energetic playing style, and in the relaxed relationship it establishes with its audiences. The band is Jonathan Ferrabee (acoustic bass/vocals); Kevin Golka (mandolin/vocals); Sherry Philp (banjo/vocals); and Nick Strachan (guitar/vocals). Concession 23 has been nominated in almost all categories at the Central Canadian Bluegrass Awards. After winning female vocalist of the year for five consecutive years, Sherry is now retired from the category. Concession 23 has two full-length recordings, both nominated as “Recording of the Year” and is preparing for a third to be released in 2014. Selections from the recordings are played at radio stations across Canada and internationally. Recently retired after 30 years of outstanding achievement in the field of Canadian horticulture, Ed Lawrence’s tenure as Chief Horticultural Specialist to six consecutive Governors General spanned a period of vice-regal history dating from Jules Leger in the 1970s to Adrienne Clarkson in 2005. In his capacity as head gardener, Ed’s responsibilities included not only the oversight of the 85 acre historic grounds and greenhouses of Rideau Hall, but of all six official residences under the authority of the National Capital Commission, including those of the Prime Minister and the Leader of the Opposition. During that same period, Ed’s gardening expertise gained popular recognition through CBC Radio’s “Ontario Today” noon-time gardening phone-in show heard every Monday. After more than two decades, enthusiasm for Ed’s down-to-earth practical advice shows no sign of waning, making the Monday gardening hour one of the longest-running and most successful features in the annals of Canadian broadcast history. His on-air popularity has led to other appearances on numerous radio and television gardening programs, including The Hobby Garden, From a Country Garden, The Canadian Gardener, and Vie de chalet on Radio-Canada. In the summer of 2001, Ed hosted a 13-part television gardening series, “The Gardener” produced in partnership with the National Capital Commission in Ottawa and WPBS TV in Watertown, New York. Ed has written gardening columns for newspapers throughout the Ottawa Valley and a weekly column for the Toronto edition of the national newspaper, The Globe and Mail. In 1988 he won Landscape Ontario’s Garden Communicators’ Award for his broadcasting work and in 2000, Ed was the recipient of the prestigious Award of Merit from the Ontario Horticultural Association. Toronto-born and Humber College educated, Ed now resides on a farm in the Almonte, Ontario region and continues to share his gardening know-how through a broad range of national and community-based horticultural endeavours. Gilles Leclerc, native to the Ottawa area, grew up in a musical family. His father, brother and uncles were all musicians and fans of old country music. Gilles started playing guitar at 12 years old and later picked up the mandolin to join a bluegrass band when he was 18. He has played in many bluegrass groups in Ontario for which he has been nominated guitar player and mandolin player of the year by the Central Canadian Bluegrass Association. He has also worked with many folk/roots artists. He is currently the mandolin player for The Dusty Drifters, and is very excited to be creating music with Amanda Bon and the Outskirts. Not only does his deep catalogue include timeless originals like Fires of Calais, Cold Missouri Waters, Jenny Bryce, Hillcrest Mine, and Kiri’s Piano. Keelaghan is also a possessive interpreter of outside material, a fine example being his gripping take on Gordon Lightfoot’s epic Canadian Railroad Trilogy on the Lighfoot Tribute disc Beautiful. There are a number of illustrations of his interpretive skills on his 2006 recording A Few Simple Verses. The closing tune on that spellbinding set, My Blood written with Jez Lowe, is one of many examples in Keelaghan’s career, where he has invited collaboration into his creative process. “I was at the Celtic Colors Festival in 2008 and the producers locked six of us in a house for a week, and the company included Dave Gunning, David Francey, and Rose Cousins, it was an amazing experience. We had to come up with enough material for a show at the end of it.“To go along with a lifelong accumulation of influences, there have been these opportunities to work with equals, whether if be Oliver Schroer, Hugh McMillan, or Oscar Lopez. The sparks of collaboration, batting melodies back and forth, whatever, have produced some wonderful results,” says the artist who ties it all together with a powerful voice, delivery, and a commanding presence where he finds a balance between examining the lighter and heavier sides of life. Karen Oxorn’s musical journey began later in life when she discovered that singing along to jazz icon Ella Fitzgerald helped her deal with the heartbreak of a failing love affair. The romance, alas, ended but her love of performing has been going strong ever since. After developing a serious interest in singing in 2002, Karen performs regularly at local jazz venues, and has developed a large and dedicated following. She performs for private functions in Canada and the United States, and has performed at the National Arts Centre Fourth Stage, GigSpace Performance Studio, the Ottawa Jazz Festival, Merrickville’s Jazz Fest, the National Gallery of Canada, the Canadian Museum of Civilization, and the Canadian War Museum. Noted jazz historian Ron Sweetman describes Karen’s singing as having “real feeling and a subtle swing in a deep, rich voice.” Jacques Emond, founding artistic director of the Ottawa Jazz Festival, had the following comments: “Talented and versatile Karen Oxorn is a very interesting vocalist. She has a warm and swinging straightforward voice skilled with ballads as well as upbeat songs.“ Since 2010, she has become more involved in producing jazz concerts and working as a volunteer for music events in the Ottawa area. She has recently begun co-hosting Swing Is in the Air on CKCU-FM 93.1 (www.ckcufm.com). Rob Martin and Paul Bourdeau perform together on a regular basis under the name Swing Guitars. Specializing in the music of the early swing era as well as in the Hot Jazz sounds of Django Reinhardt, this two-man band are also excellent vocal accompanists. They performed with Karen at the end of January at a sold-out Django tribute concert that took place at Ottawa’s GigSpace Performance Studio. Katayoun Malekmotiee was born in Iran. She began studying music at the age of 9. After the Islamic Revolution, music was forbidden and all the music schools were closed. She went on to study Economics, but after 8 years the prohibition against music was lifted and she obtained a music degree. She then began teaching music and santour, a traditional Iranian instrument. Katayoun has worked with many music groups as a player and composer. She founded a women’s music group and opened her own music institute 10 years ago. She has performed extensively in Iran and abroad and has recorded a number of CDs. Katayoun moved to Ottawa, Canada two years ago and she is thrilled to be introducing her music to a Canadian audience. Maple Hill is an award winning bluegrass band that brings energy, emotion, fun and entertainment in their show. Built on the foundation that “it’s all about the song”, Maple Hill delivers strong vocals with fresh instrumental backup rooted in a traditional sound. Maple Hill covers the full range of bluegrass from the early hard edged blues through gospel and on to today’s great songwriters. Co-founders Garry Greenland and Pat Moore are joined by banjo player Sean Lundy on banjo, and Kevin Golka on mandolin. With Maple Hill the song and its story are always the focus with solos, duets, trios and quartets. The Bluegrass Music Association of Canada, ValleyGrass, and The Central Canadian Bluegrass Committee recently honoured Garry, for his immense contribution to bluegrass music in Canada for teaching and mentoring. The timing was perfect as he celebrates 50 years as a bluegrass road musician. Heart, drive, deep blues, inspiration, tight blend, and fun filled interplay between musicians are some of the things that describe a Maple Hill performance. Growing up in a large family where chaos was a lifestyle had its benefits. I could train myself to live in a different land even though chaos was all around me. As a young teen, I would climb into my brother’s tree house and imagine myself singing late at night in some obscure small room in New York City and walking the streets alone as I thought all musicians did. By the time I was 15 years old I had heard all my father’s jazz and big band albums over and over and had attended numerous concerts where my brother, Michael sang Gregorian chant with St. Michael’s Choir School in downtown Toronto. I loved music, and belonged to many church choirs, but it took on new meaning when my father brought home a record of Fats Waller. It introduced a sound that shook my insides and made me want to sing. But it took many years of living, which included a nursing/teaching career, marriage, a son and many dogs and cats before I would take music seriously. Since 1996 I have performed on main stages from The National Arts Centre in Ottawa to Boston’s Regent Theatre to The Angola Prison for Women in Louisiana. including a guest performance at the Great Canadian Theatre Company for Garnet Rogers. I have recorded 3 albums. Pour Me a Song features veteran folk singer Penny Lang and Michael Burgess. My second album Lemon Pie features the late Willie P. Bennett. My latest CD, Play Me Sweet features Keith Glass (6 time Juno Award Winner from Prairie Oyster (Keith also produced the album) and Lynn Miles appears courtesy of True North Records. You can find all 3 CD’s at The Ottawa Folklore Centre, CD Warehouse, and Compact CD. 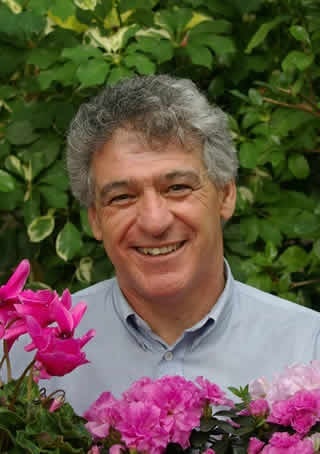 I have had the good fortune of being connected with Terry Eagan in Boston who has pioneered efforts to put gardens in hospitals all across Canada for people hospitalized with cancer. Terry produced my first album and I continue to support his efforts in any way I can. The last fundraiser was September 2011 where I performed along side Lynn Miles, Keith Glass, Ana Miura and Amanda Rheaume and Michael Burgess. Visit the website patiogardens.com for more information. Russ is returning to writing and performing after what he thought was a career ending operation on his vocal chords. His background is in folk, blues and rock. In the summer of 2012, he began performing seriously again, appearing first at the Stan Rogers Folk Festival in Canso, Nova Scotia followed by the Mariposa Folk Festival in Ontario. He then spent the last two weeks of September and early October on a 12 date tour of house concerts in Manitoba organized by Home Routes in Canada. Donna Stewart and Ruth Stewart-Verger are storytellers with years of experience recounting tales of Canada’s history. Donna Stewart has told stories on all three of Canada’s coasts, and every where in between! Donna was given the title “Elder” by the Storyteller’s of Canada/Conteur du Canada’s national conference in 2003. Together they hold the position “co-past president” of the National Storytelling Association. Both have studied Canadian history, both are teachers (Donna retired), both have given performances workshops, and seminars on storytelling, and on conveying our countries history through oral story across Canada. Ruth has had the great good fortune to hear Donna’s tales all her life. Ruth uses stories daily in her classroom and in her work with new Canadians. She has facilitated workshops, conducted seminars and presented at symposiums and conferences on storytelling and the applications of storytelling. She has traveled across Canada telling stories, and finding new ones! Ruth has recorded two historical tales about Canadian Women heroes and toured with them across Canada. The stories we tell of Canadian Railways have been researched through academic texts, archives and the newspapers of the time, but they are heavily influenced by family stories we have heard all our lives! The Almonte Train Wreck of 1942 is one such story. It was one of Canada’s worst rail disasters, but the people of Almonte rose to heroic action to ensure that all who could be saved were saved! On September 13, 1911, the man who invented Bluegrass music was born in the town of Rosine, Kentucky. He and his brother Charlie played together as The Monroe Brothers before Bill started The Kentuckians. His music inspired many, and so in homage to The Father of Bluegrass, we are – The Monroe Sisters. The Monroe Sisters together have 100 years of living and playing bluegrass music. We are, Kate Greenland, Elizabeth Foster, Sherry Philp, and Pat Moore. “Cousin Brent Weatherall” sits in on bass with us! There’s nothing like “sister harmony”, and we love that! Visit us at www.themonroesisters.weebly.com and find out more about who we are, and where you can find us. Terry Penner was the co-founder of the Ottawa Folklore Centre and wife of Arthur McGregor. During the first years of the Folklore Centre, Terry did some bookkeeping while holding down a ‘paying’ job. The Folklore Centre took a while before it made enough money to pay an owner. Later, Terry ran the school of music, introducing lots of great programmes like ‘Pub Carols’, shape note singing and more. She also became our full time bookkeeper. In 1992, Terry developed breast cancer. She continued to work at the store while suffering an aggressive treatment schedule. In 1998, we decided to expand the Folklore Centre to its current location, hoping that the larger school would ease the financial burdens. In early 1999, Terry was diagnosed as terminal and she retired from the Folklore Centre. Her retirement party, in the Glebe Community Centre, was a wonderful celebration. Terry died in November, 2000. Terry wished for three things at her wake: a parade, a Dixieland jazz band and a celebration of her life. We held a parade from the Folklore Centre to the now-demolished Strand Theatre on Bank Street. We arrived to a Dixieland jazz band that included Terry’s brother on Euphonium and proceeded to have a lovely celebration of Terry’s life. In 2001, we started the annual Terry Penner Weekend Festival Choir at the now changed Ottawa Folk Festival. This is the first year that we’ve sponsored the choir at the Grassroots Festival. I think Terry would have approved! With her unique enthusiasm Rowena Pearl’s talent shines especially bright when she engages all ages in making music together. Rowena brings her love of music to audiences as a music director of school, church and community choirs in the North Gower area. She is also a very popular music teacher, introducing a love of Piano and the Ukulele to dozens of students. In addition to participating in the Ottawa Grassroots Festival, Rowena is currently Musical Director of The Little Princess coming this summer to the Station Theatre in Smith Falls.